Pendo, a growing technology company founded in Raleigh, will more than triple its local operations over the next five years, adding 590 jobs and investing $34.5 million in Wake County. Pendo started in Raleigh in 2013 when alumni from Rally Software, Google, Cisco and Red Hat set out to build software to understand and act on what drives digital product success. Pendo’s product cloud now provides user insight, user guidance and user communication tools for digital product teams at software companies and digital enterprises around the world. Digital product teams use Pendo to understand how users journey through their web and mobile applications, which provides tools to educate and get feedback those users. That ultimately helps increase product engagement and adoption. This project will provide Pendo with a corporate headquarters location and facility to accommodate rapid growth. It will be the company’s primary engineering hub, with dozens of software engineers and product managers, as well as the company’s center for sales, marketing, customer success, and back office functions such as finance and human resources. Salaries will vary by position and experience. Once all positions are filled, the average salary is expected to be $86,824. The average salary in Wake County is $56,245. “Pendo had an attractive offer to leave Raleigh, but our talent pipeline, top-tier universities and our stable and favorable business climate won out against competitors,” said North Carolina Commerce Secretary Anthony M. Copeland. 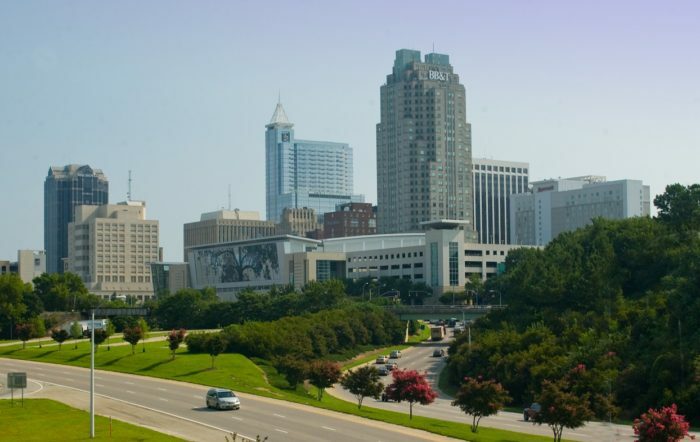 The North Carolina Department of Commerce and the Economic Development Partnership of North Carolina led the state’s support for the company’s selection. The Pendo expansion in Wake County will be supported in part by a Job Development Investment Grant (JDIG). Over the course of the 12-year term of this grant, the project is expected to grow the state’s economy by an estimated $1.2 billion. Using a formula that accounts for the new tax revenues generated by the new jobs, the JDIG agreement authorizes the potential reimbursement to the company of up to $8,788,500 spread over 12 years. State payments only occur after the company has met its incremental job creation and investment targets. JDIG projects result in positive net tax revenue to the state treasury, even after taking into consideration the grant’s reimbursement payments to a given company. Because Pendo chose to designate its corporate headquarters in Wake County, classified by the state’s economic tier system as Tier 3, the JDIG agreement also calls for moving as much as $2.9 million in new tax revenue generated through the grant into the state’s Industrial Development Fund – Utility Account. The Utility Account helps rural communities finance necessary infrastructure upgrades to attract future business. Partnering with state Commerce and the EDPNC on this project were the North Carolina General Assembly, the North Carolina Community College System, Wake County, the City of Raleigh, Wake County Economic Development, the City of Raleigh Office of Economic Development and Innovation, and the Raleigh Chamber.